Series 7000-Air/Water/Oil/Grease applications. 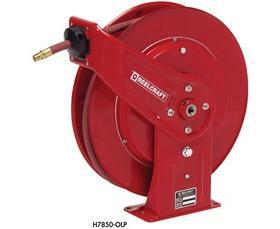 These reels are very robust and ideal for the most demanding applications. 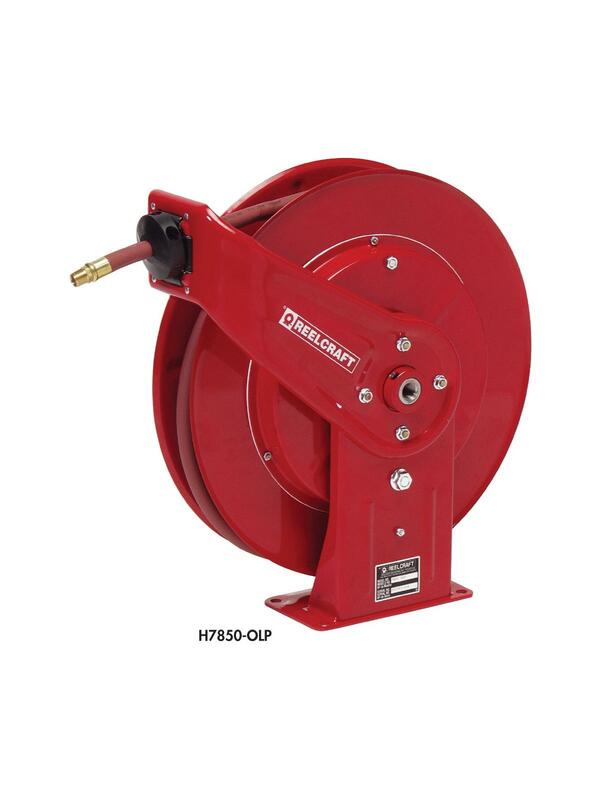 The reel base and guide arms are formed from high grade steel and engineered with structural forms and gussets to yield the greatest amount of strength. Multi-position guide arm for wall, bench, ceiling or truck mounting. Incorporates all steel construction and a baked-on powder coat finish to produce a rugged corrosion resistant product suitable for a wide variety of heavy duty applications. Complete with hose. FOB Shipping Point. 7 x 20-1/4 x 19"